Perhaps the most notable items this week are the announcement of the annual water/sewer rates, a couple of committee reports relating to the proposed Twining/Normandy petition, and a resolution on the tragic death of Marcia Diehl – a friend to thousands of Cantabrigians, including me. Manager’s Agenda #5. Transmitting communication from Richard C. Rossi, City Manager, relative to the appropriation of $6,000,000 from Free Cash to the General Fund Public Works Other Ordinary Maintenance account ($4,825,000) and to the General Fund Public Works Extraordinary Expenditures account ($175,000) and to the Public Investment Fund Public Works Extraordinary Maintenance account ($1,000,000) to cover winter 2014-2015 snowstorm expenses associated with snow plowing contracts, salt and other material, and repair costs. Some years the "Rainy Day Fund" can be a "Snowy Winter Fund". Few should be surprised at this additional cost after a record-breaking winter. Spring (technically) arrives with the vernal equinox this Friday at 6:45pm EDT. Manager’s Agenda #17. Transmitting communication from Richard C. Rossi, City Manager, relative to Awaiting Report Item Number 15-04, regarding a report on next steps to converting the Watertown Branch rail line. We’re getting there – slowly but surely. This will one day be a nice addition to the off-road recreational facilities for the local region, and will also provide pretty handy access to the Arsenal Mall area. Manager’s Agenda #18. Transmitting communication from Richard C. Rossi, City Manager, relative to the block rates for water consumption and sewer use for the period beginning Apr 1, 2015 and ending Mar 31, 2016. The recommendation is for a 0% increase in the water consumption block rate and a 6.8% increase in the sewer use block rate, resulting in a 4.9% increase in the combined rate for the coming year. This is the fifth consecutive year that the City has been able to produce a 0% increase in the water rate. Unfinished Business #12. That any committee report that has not been signed by the Chair of the committee within seven days after submission of the committee report by the City Clerk be placed on the City Council Agenda unsigned. Order Number Eight of Mar 2, 2015 Referred to Unfinished Business. It’s interesting that at the first meeting after Councillor Toomey introduced the Order calling for this modification in the City Council Rules to hasten the delivery of committee reports, this agenda contains 5 committee reports. While looking over old email messages from Marcia, I came across this one from 2009: "We really need a Cambridge History thing, or class, or institutionalized available web site. My specialty is the 70s, and I loved working with Charlie (Sullivan) and the Historical Commission looking for old photos. I have performed a few Cambridge history in music shows, one of which ‘When Hippies Roamed the Earth’ is centered around the Inman, Harvard, and Central Square cultural and political counterculture. Another one was songs related to social justice history at Old Cambridge Baptist Church." 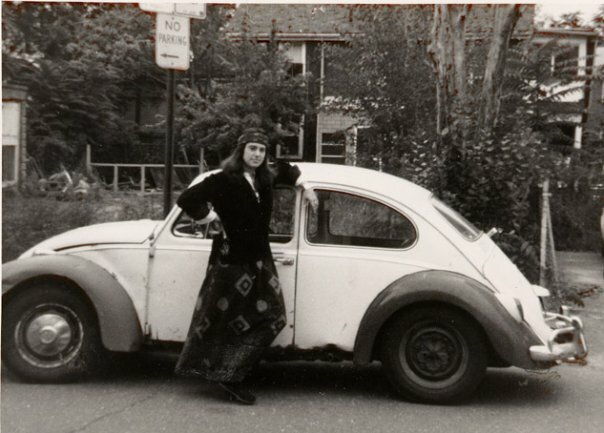 Two years ago (Feb 2013) Marcia wrote this in the CCJ Forum: "I remember being called a ‘barnie’ and having garbage thrown at me when a bunch of us college grad hippie pinkos lived in communes on the Broadway and Columbia corner in 1971-2. CRA paid us a thousand each to relocate and we carried our stuff across the street to a Chiccarelli building. At a rent control strike hearing, she yelled ‘THEY WANT MY BLOOD, THEY WANT MY BLOOD!’ Ah, memories. I’ve lived kitty corner to Villa Vellucci in almost-East Cambridge, attended many times, and busked in Harvard Square. Now retired and living two blocks from where I did 35 years ago in my favorite spot in the universe, Cambridgeport, I know I am not worthy to be a Cantabrigian." You were as worthy as anyone who has ever lived here, Marcia. I hope we can name a park or a garden after you. I suspect there must be some connection here between the apparent licensing irregularities with Mr. Kapsalis (owner of The Cellar and a neighboring liquor store) and a petition that was submitted to the License Commission several months ago attempting to block Ms. Courtney and her partner from opening a competing establishment near to Mr. Kapsalis’ businesses. That petition was pretty much 100% fraudulent and even included fake names at my address. I was able to see the petition when an investigator from the License Commission came to my house verifying the names of those who had apparently signed the petition. It also had the name of at least one friend of mine who said he had never signed such a petition. Even a casual look at the petition showed that it was all likely written by the same person. Who does something like that? I never patronized The Cellar or his liquor store anyway, so they won’t be missing my business. Committee Report #2. A communication was received from Donna P. Lopez, City Clerk, transmitting a report from Vice Mayor Dennis A. Benzan and Councillor Dennis J. Carlone, Co-Chairs of the Ordinance Committee, for a public hearing held on Jan 22, 2015 to discuss the Normandy/Twining zoning petition to amend Article 20.000 of the Zoning Ordinance and Zoning Map of the City of Cambridge by adding a new Section 20.800 entitled Mass. and Main Residential Mixed Income Sub district within the Central Square Overlay District. Committee Report #3. A communication was received from Donna P. Lopez, City Clerk, transmitting a report from Vice Mayor Dennis A. Benzan and Councillor Dennis J. Carlone, Co-Chairs of the Ordinance Committee, for a public hearing held on Feb 26, 2015 to discuss the refiled Normandy/Twining petition to amend the Zoning Ordinances in Article 20.000 of the Zoning Ordinance and the zoning map of the City of Cambridge by adding a new section 20.800 entitled Mass and Main Residential Mixed Income Subdistrict within the Central Square Overlay District. The next couple of months should prove interesting. The Cambridge Residents Alliance was spawned a few years back in response to proposals for new housing in and around Central Square. [In short, they don’t want it.] They’ve now spawned yet another entity specifically trying to block new housing at this Lafayette Square location. It’s anybody’s guess how this zoning proposal will fare and how the actual building will take shape should the zoning change make it possible. Committee Report #5. A communication was received from Paula Crane, Deputy City Clerk, transmitting a report from Councillor E. Denise Simmons, Chair of the Housing Committee for a public hearing held on Jan 13, 2015 to discuss the production of language for a city-wide affordable housing overlay district, to be considered by the City Council to identify areas in the city that would be best suited for an affordable housing overlay district. I love the Globe story. What he describes is exactly what I did the other day reading old emails from Marcia Deihl. She really had a way with words.